Calling all bush buddies and nature kids - as Mamma got the spot for you! This nature reserve is known for its wildlife but a massive special mention needs to be made for its set up for play. 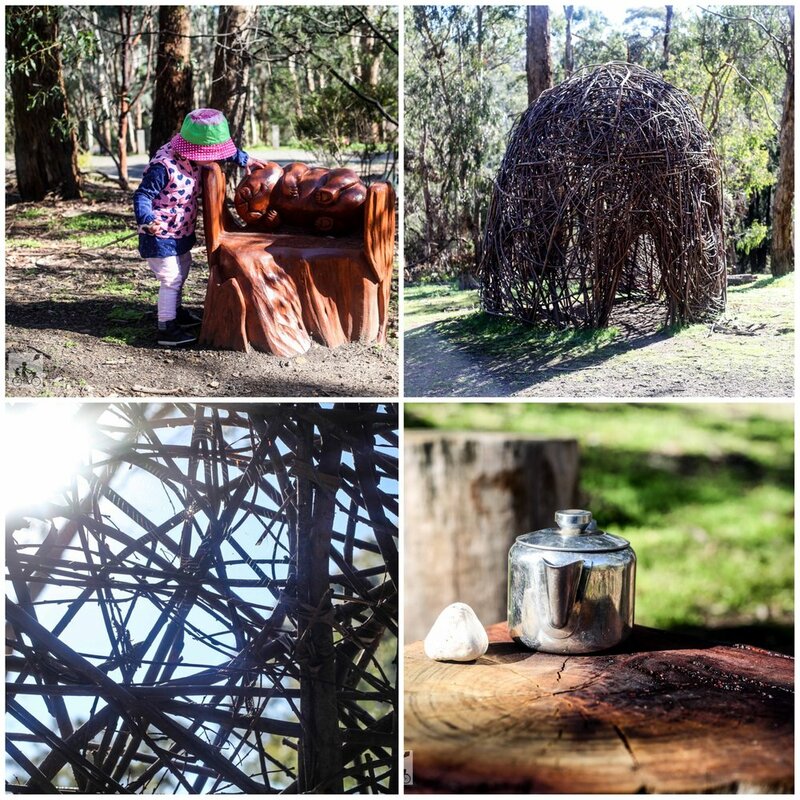 Currawong Bush Park has to be the most spectacular setting for outdoor nature play that Mamma has ever seen. There isn't any typical play ground equipment pieces here, rather all natural things to explore. 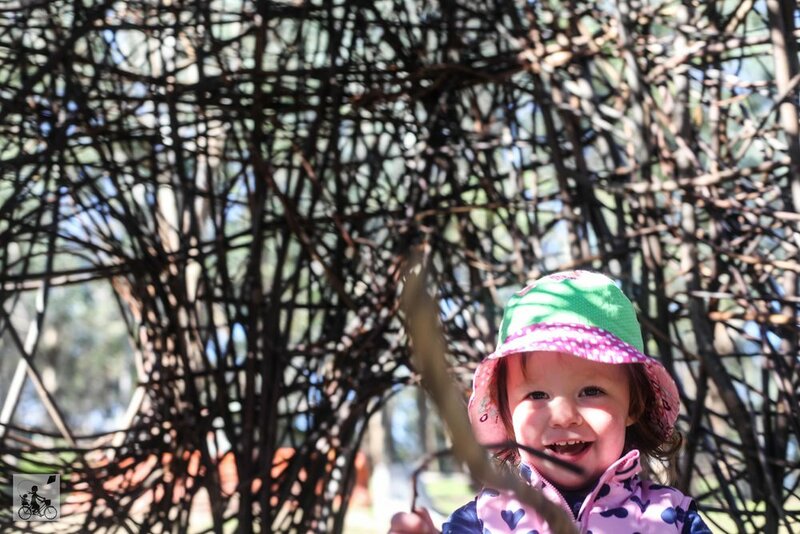 A permanent woven willow bush cubby is the favourite and has inspired other kid made bush structures in the open space. There are community circles of logs and rocks set up as well as friendly wombat, a kangaroo and echidna. A visit can not also be complete without a rendition of Row Row Your Boat in the canoe. There are tell tale signs of imaginary play happening all over the place with collections of rocks, piles of sticks and occasionally a teapot left behind. The reserve itself is a beautiful place to explore as a family with many tracks woven through the parkland. Be on the look out or native wildlife especially the kangaroos and wallabies. Bush playgroups that are supported by Playgroup Victoria, also run from this special spot - head to Eco Explorers website for more information. Mamma's special mention: All wooden art pieces are the chainsaw carved and are work of Brandon Kroon. His work is popping up in playgrounds all over the east including Ferny Creek Playspace and the Mooroolbark Library bookworm!